Looking for a fun treat to make with kids? 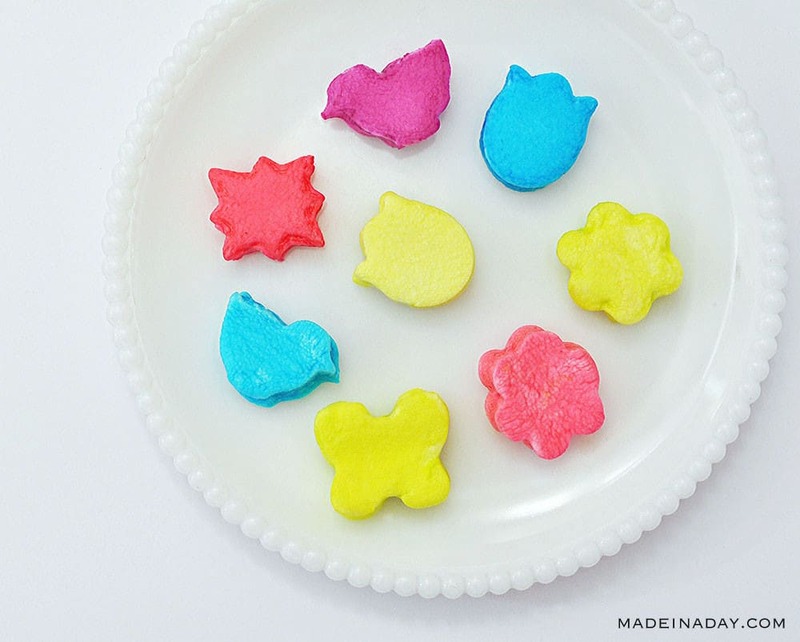 Let me show you How to Dip Dye Marshmallows with Food Coloring! 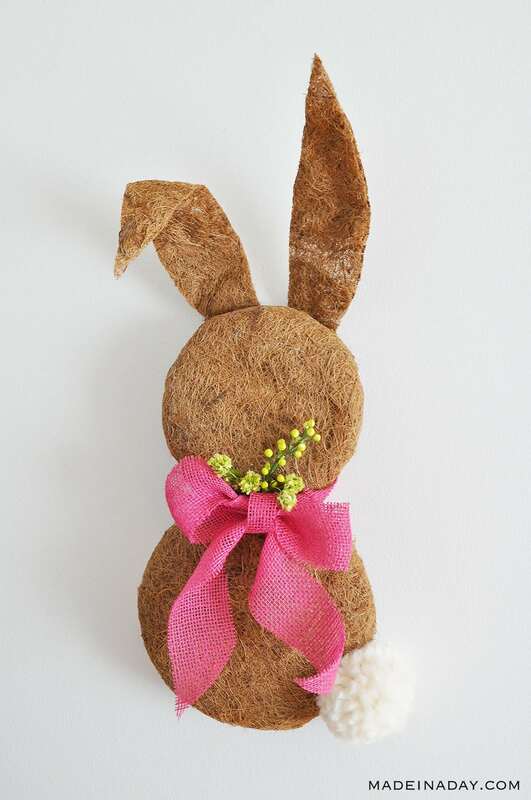 For more Easter fun see my Spring + Easter page. Who knew you could dip dye marshmallows? Well apparently not me, until now! 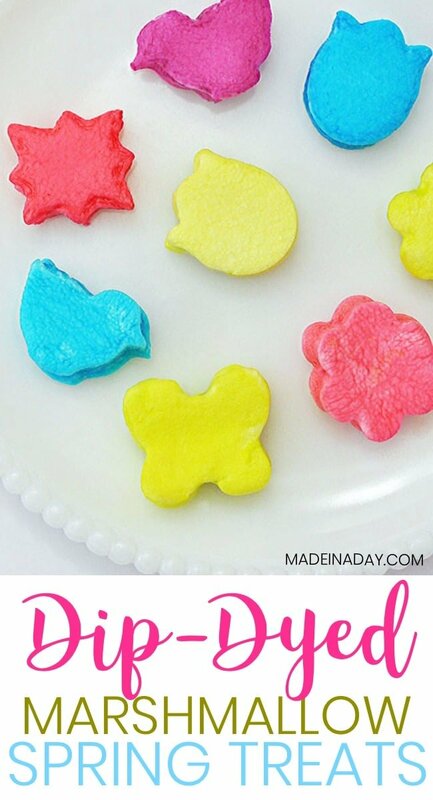 This is a super fun and easy treat for the kids to make too. I was looking around the marshmallow section in the grocery store and man, are there so many different kinds of marshmallows these days. Some are already dipped. You can just add a stick and they can be instant party treats! 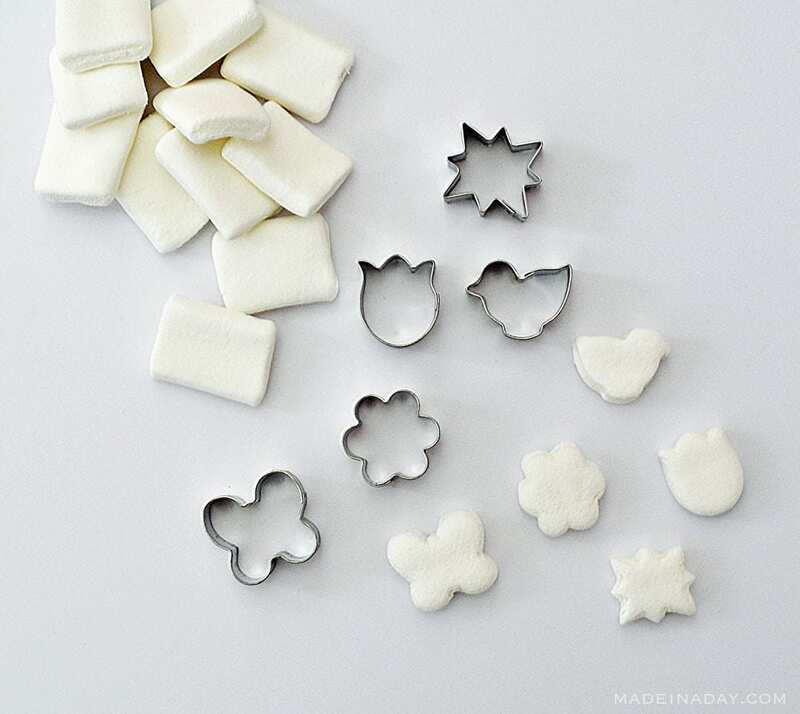 Cut shapes out of the marshmallows with the mini cookie cutters. Press cutter down in the center of the marshmallow and gently wiggle to cut all the way through. Gently pull the marshmallow out of the cutter. Fill small bowls with water, around a 1/4 cup each. Mix 3-6 drops of each color of food coloring. Adjust the drops to make the colors lighter or darker like you would when coloring Easter eggs. Soak the marshmallows in water for 1 minute and remove them and lay on a cooling rack to dry. Enjoy! Such a fun way to keep the kids busy on boring days. 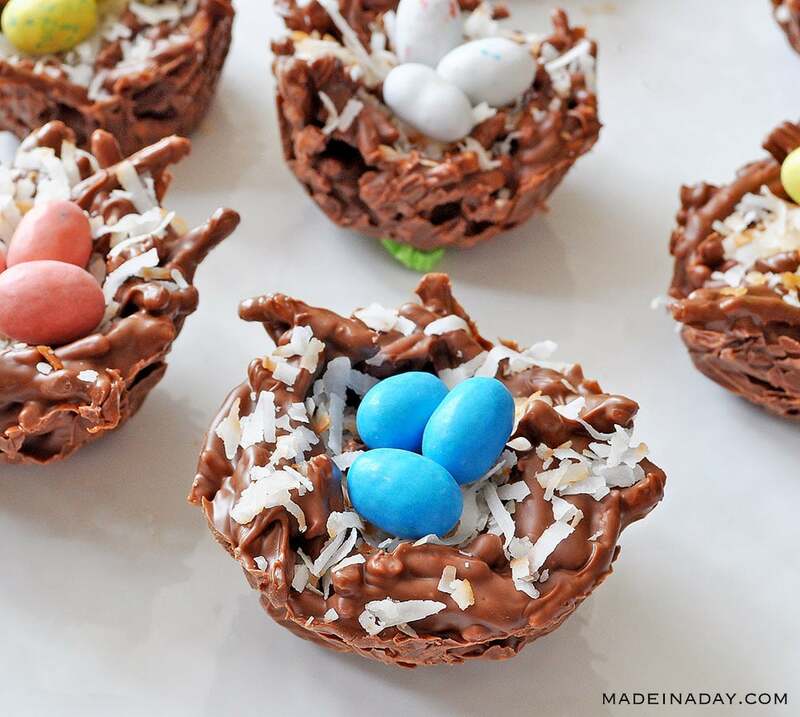 This is a great alternative to dying Easter eggs as well. Thanks Jess! I added it to the group thanks for the invite. These are so cute! I have a serious weakness for colorful things!